Human Facets® offers customized programs, consulting, training workshops and speaking to inspire organizations to value diversity and to create a strategic plan for embedding a globally inclusive environment. 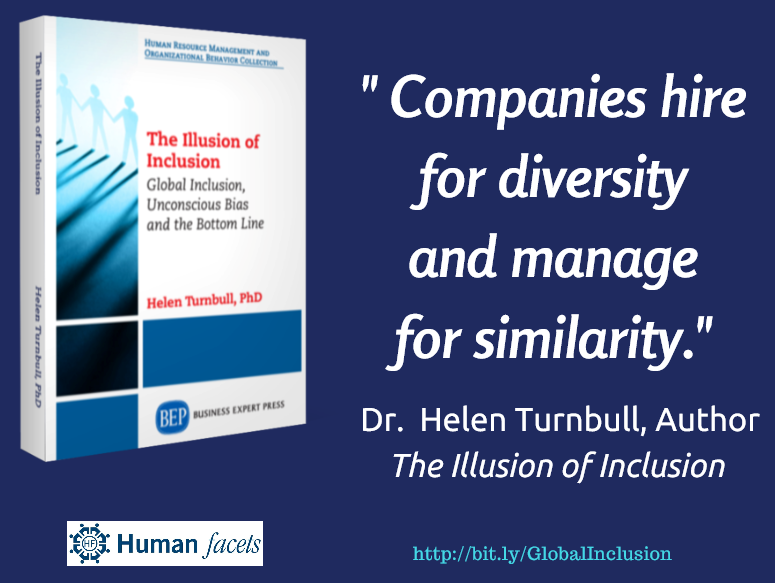 Dr. Helen Turnbull, the CEO and founder of Human Facets® is an internationally recognized expert and keynote speaker on unconscious bias, global inclusion and diversity. The Unconscious Bias program offers a unique and robust solution to enable leaders to address their unconscious biases. The Unconscious Bias Program utilizes Human Facets online assessment tools (Cognizant, Blind Spots, and the ISM Profile). This enables leaders to see the patterns of their unconscious biases, both individually and collectively. This knowledge is then leveraged to create a more inclusive environment. Human Facets’® Embedding Inclusion program is a unique and comprehensive program designed to create an inclusive environment and embed new behaviours into the fabric of organizations. Our international team of consultants assists corporate clients in the development and implementation of their diversity and global inclusion strategies. Our international team of diversity and global inclusion facilitators has a library of workshops that can be customized to respect the client culture and fit the client’s current needs. 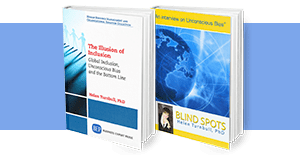 Human Facets’® Unconscious Bias Program incorporates either Cognizant™ or Blind Spots, Global online assessments designed by Dr. Helen Turnbull to raise the unconscious to consciousness, helping you discover what’s hindering your organization’s progress. The Inclusion Skills Measurement Profile (ISM Profile) is an online self and 360 degree assessment tool developed by Dr. Helen Turnbull to help participants improve in seven categories related to embedding inclusion. Explore our customized Diversity and Global Inclusion Solutions or contact us directly at (954) 370-6343 to get all the details.